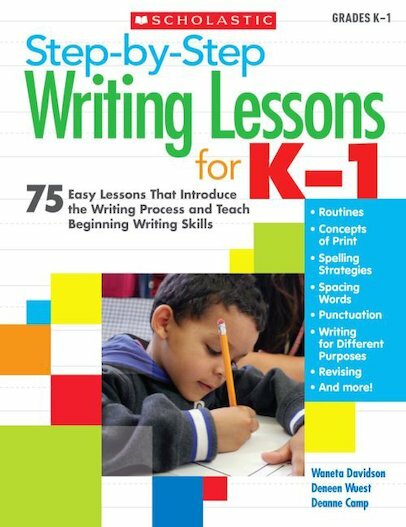 Straight from the classroom, these age-perfect lessons provide the tools and strategies young students need to become successful writers. From teaching basic routines and concepts of print, to introducing the writing process and classroom resources such as the word wall, to exploring how to write for different purposes and edit, the lesson you need will be at your fingertips—from September to June. For each lesson, the authors provide a suggested anchor book, modeling ideas, and guided and independent practice activities. Includes assessment ideas, conferring tips, reproducible student sheets, and more! For use with Grades K–1. But How Do You Teach Writing?